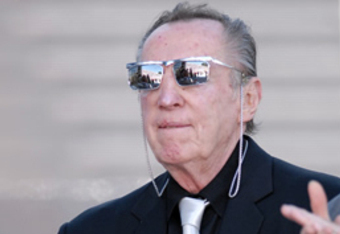 Few men in the NFL have conjured up as much emotion as that of Oakland Raider owner Al Davis, who passed at age 82 this past Saturday. Whether you loved him or hated him, no one can deny the fact that the man has left behind a legacy that will go unchallenged in the game of professional football. Many know of his antics and iron-fisted control of his team, but not many know of his compassion and devotion not only to his team, but to the game and the men who play it. Davis once said, “I don’t know what my legacy is, that’s not for me to say. You’ll have to ask others about that. I care more about winning than my legacy.” Al Davis does leave a massive legacy. Which explains the outpouring of praise and recognition from coaches, general managers and players in the days and months before his death. Said Former Steeler QB Terry Bradshaw of him, “When you hear Al Davis’ name mentioned, people want to take sides, right or wrong, good or bad, if you look at the history of the league and you look at how the league has changed, when you look at who the personalities that are involved in that change, you’re going to find Al Davis.” As Raider Nation mourns the passing of it’s larger-than-life undisputed leader, a look at how he helped shape the game of professional football, of the NFL as we know it, is fitting. Al was born July 4, 1929 to a wealth Jewish family in Brockton Mass. Al spent his youth in the Flatbush neighborhood of Brooklyn and attended Erasmus Hall High School. He attended Wittenberg and Syracuse, where he earned a degree in English. Upon graduation, he began his coaching career as the line coach at Adelphi College from 1950 to 1951. From 1952 to 1953, Davis served as the head coach of the U.S. Army team at Ft. Belvoir, Virginia. After that, he was as the line coach and chief recruiter for The Citadel . From 1957 to 1959 Davis was an offensive line coach for the USC Trojans. From 1960 to 1962, Al Davis received his first professional experience in the NFL as offensive end coach for the LA / San Diego Chargers. After the 1962 season, Oakland Raiders general partner F. Wayne Valley hired Davis as head coach and GM. At age 33, Davis was the youngest person in professional football history to hold those positions. this would be the beginning of the Al Davis that most of us know. It was also at this time that he assumed the image and the attitude that would define him for almost 50 years—slicked-back hair, Brooklyn-tinged speech, dark glasses and an intense will to win. Davis immediately began to implement what he termed the “vertical game,” an aggressive offensive strategy based on the West Coast offense developed by Chargers head coach Sid Gillman. Under Davis the Raiders improved to 10–4, the first winning record in franchise history, and one more win than they had notched in their first three seasons combined. He was named the AFL’s Coach of the Year in 1963. In 1966 Al was named commissioner of the American Football League. Al immediately commenced an aggressive campaign against the NFL and signed several of the NFL’s top players to the AFL. That July, the AFL and NFL announced that they were merging. Davis was against the merger because of the compensation AFL teams were required to pay the NFL, and because he believed the AFL would be the superior league if allowed to remain separate,. On July 25, 1966, Davis resigned as commissioner rather than remain as commissioner until the end of the AFL in 1970. After resigning as AFL commissioner, Davis bought a 10 percent stake in the Raiders and returned to his old club as one of three general partners. He was also named head of football operations. The Raiders won the 1967 AFL Championship and earned a trip to Super Bowl II where they were beaten 33-14 by Vince Lombardi’s Green Bay Packers. The following two years, the Raiders again won Western Division titles, only to lose the AFL Championship to the eventual Super Bowl winners—the New York Jets (1968) and Kansas City Chiefs (1969). In 1972, while managing general partner Valley was attending the 1972 Summer Olympics, Davis drafted a revised partnership agreement that made him the new managing general partner, with near-absolute control over team operations. Valley sold his interest in 1976, and no other partners have had any role in running the club since. This was despite the fact that Davis did not acquire a majority interest in the Raiders until 2005, when he bought the shares held by McGah’s family. At his death he owned approximately 67 percent of the interests in the partnership through his company, A.D. Football, Inc. In addition to serving as owner, Davis effectively served as his own GM until his death—longer than any football operations chief in the league at the time. He was one of three NFL owners who have the title or powers of GM. With Davis in control, the Raiders became one of the most successful teams in all of professional sports. From 1967 to 1985 the team won 13 division championships, one AFL championship (1967), three Super Bowls – XI, XV, and XVIII and made 15 playoff appearances. 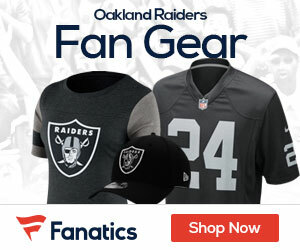 Though the Raiders’ fortunes have waned in recent years, having gone 37–91 from 2003 to 2010, they are one of two teams to play in the Super Bowl in four different decades, with the other being the Steelers. Along with appearing in five Super Bowls, the Raiders have also played in their Conference/League Championship Game in every decade since their inception. In 1992 Davis was inducted into the Pro Football Hall of Fame as a Team and League Administrator, and was presented by John Madden. Davis has been chosen by a record nine Pro Football Hall of Fame inductees to present them at the Canton, Ohio ceremony: Lance Alworth, Jim Otto, George Blanda, Willie Brown, Gene Upshaw, Fred Biletnikoff, Art Shell, Ted Hendricks, and also Madden. Davis has long been considered one of the most controversial owners in the NFL and has been involved in multiple lawsuits involving Los Angeles, Oakland, Irwindale and the NFL. In 1980 he attempted to move the Raiders to Los Angeles but was blocked by a court injunction. In response Davis filed an anti-trust lawsuit against the NFL. In June 1982 a federal district court ruled in Davis’ favor and the team officially relocated to Los Angeles and played there from 1982 until moving the team back to Oakland for the 1995 season. In 2007, Davis sold a minority stake in the Raiders for $150 million and said that he would not retire until he wins two more Super Bowls or dies. His generosity was legendary when it came to helping former players in need, although he routinely did so without any fanfare. His philosophy was: Once a Raider, always a Raider. Davis was many things to many people, but he never wavered in his belief that he was only a small part of something much bigger than himself. AL Davis holds the distinction of being the first to draft an African-American quarterback (Eldridge Dickey), the second to hire a Latino coach (Tom Flores), the first to hire an African-American head coach in the modern era (Art Shell), and the first from one of the four major professional sports to hire a woman as a chief executive (Amy Trask). “The Raiders have never been interested in a man’s color, only his ability,” Davis once said. With the passing of Al Davis, there will be not only a hole in the “Black Hole,” but a hole that will remain un-filled in the NFL and all of professional sports. Without a doubt, Al Davis and his Commitment To Excellence will be missed.. Just Win Baby !! !